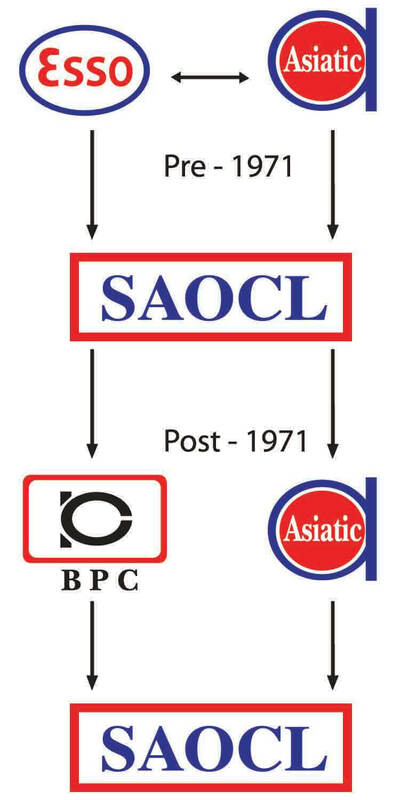 Standard Asiatic Oil Company Ltd (SAOCL) was the first lube oil blending plant in private sector in the then East Pakistan now Bangladesh. Established in 1965 in the port city of Chittagong on 50:50 equity joint ventures between The Asiatic Industries Ltd, a private limited company and Esso Eastern Inc. of USA. After the independence of Bangladesh in 1971, Esso Left Bangladesh and all rights, obligation & shares of Esso were acquired by the Government of Bangladesh and subsequently vested to Bangladesh Petroleum Corporation (BPC). Hence the ownership of Standard Asiatic Oil Co. Ltd has been The Asiatic Industries Ltd 50% and Bangladesh Petroleum Corporation 50%. The Board of Directors of the Standard Asiatic Oil Co. Ltd consists of four Directors, two from The Asiatic Industries Ltd and two from Bangladesh Petroleum Corporation with a Chairman being the Additional Secretary of Ministry of Energy and the other being Secretary of the Bangladesh Petroleum Corporation under the rank of Deputy Secretary. Standard Asiatic Oil Company Ltd. is a subsidiary of Bangladesh Petroleum Corporation Under the ministry of Energy & Mineral Resources, Govt. Of Peoples Republic of Bangladesh.